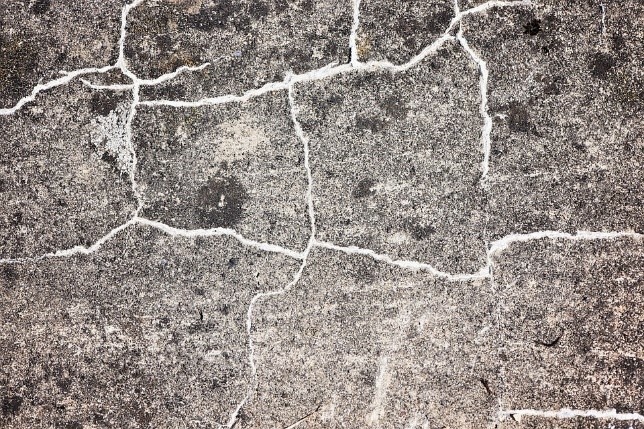 Concrete is one of the most durable of substances, but it can sometimes show signs of wear and tear. Madmix, leading concrete suppliers in the Cambridge area, explain some of the key signs that it could be time to replace your concrete. This problem is also known as scaling and is shown by pieces of the concrete peeling or flaking off. Spalling is generally caused by the presence of moisture, which gets into the concrete. This can be a particularly bad problem in concrete basements. The weather can have a detrimental effect on concrete. When it gets too cold, water that has found its way into it freezes and expands, and contracts again when it thaws, damaging the surface. Problems also arise when steel has been used to reinforce the concrete. If moisture seeps in this can cause the metal to expand, putting stress on the surrounding concrete, with the result that chunks of it can break away. This may not be the fault of the concrete itself, but is often due to external factors, such as it being subjected to a load which it was not designed to take. This can include a large footfall, or heavy vehicular use, with lorries and buses driving over the surface. This type of damage is also known as pressure cracking. Another common issue is known as heaving cracks. This happens when there is movement beneath the surface of the concrete, such as subsidence or the growth of large tree roots, resulting in cracks. Allied to this is the problem of settling cracks, which can happen when nearby tree roots are removed or a newly-built house or large extension simply ‘settles’ into its foundations. A fourth potential issue is the problem of crazing cracks. These are so-called because they make the surface of the concrete look like crazy paving or a spider’s web. This type of damage is often not a major problem as the basic underlying concrete could still be sound. It can be caused by a problem with the basic mixture, or by the concrete drying too quickly. The alkaline content present in the surface of some concrete can be washed away by rainfall. This creates a surface that can become a fertile breeding ground for plant life – initially smaller organisms such as algae and fungi, followed by larger flora and fauna. 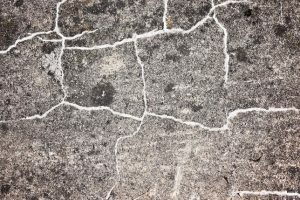 This natural process, if not treated in time, will make the area look unsightly and can cause more serious structural problems, such as roots growing into the concrete, which in turn will cause more cracking. When your concrete reaches the end of its lifespan and needs replacing, Madmix are the people to contact. Our team of experienced concrete experts can pre-mix your concrete in advance of laying it and the mixture will be specifically tailored for your job. We offer a range of different concrete mixes for different applications, including domestic, industrial, commercial and large construction projects. Our admixtures, which involves adding chemicals to the concrete mixture to achieve specific effects, mean we can offer specialised products, such as chemical resistant and fibre reinforced concrete. 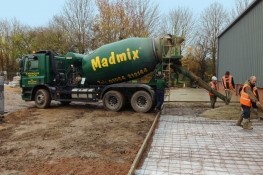 Madmix always lays concrete on every job in one go, so there are never any variations in consistency or colour. This creates a more even, durable structure which is less prone to cracking or damage in the future. We have received the BSI Kitemark, which shows that our concrete has been tested and fully meets the BS EN 206 and BS 8500-2 standards. We have our concrete independently tested on a regular basis, so our customers can always be assured that the concrete they receive from us is of the highest quality. Madmix has a fleet of delivery and mixing lorries, as well as a smaller vehicle for domestic orders. We regularly deliver to Cambridge, Ely, Huntingdon, Newmarket, St Ives, St Neots, Royston and the surrounding areas. Our website also has a free, easy-to-use concrete calculator so you can quickly work out exactly how much you will need. We offer a free pick-up service for any excess concrete, so you don’t have to worry about having any left over when your job is complete. If you want to replace your existing concrete, or need to buy some for a new project, then speak to one of our friendly, experienced staff at Cambridge concrete suppliers Madmix. Follow the link above to get in touch or to request an online quote.